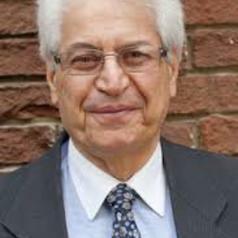 Atif Kubursi is Professor Emeritus of Economics at McMaster University. He is also President of Econometric Research Limited. In 1982, he joined the United Nations Industrial Organization as Senior Development Officer. Since then he worked as a team leader of several UNIDO missions to Indonesia, Thailand, Saudi Arabia, Kuwait, Sudan, and Egypt. In 2006 he was appointed Executive Secretary of the United Nations Economic and Social Commission for Western Asia (UN-ESCWA). He has published extensively in the areas of macroeconomics, economic development strategies, international trade, impact analysis and regional planning with special emphasis on the environment, tourism and industrial development. He has frequently lectured on globalization issues, economic development, oil and industrialization, impact of tourism on provincial and local economies, political economy of development, Arab affairs and on environment-economy linkages.He has published 10 books and over 250 journal articles and technical reports. Dr. Kubursi also taught economics at Purdue University in Indiana, USA, was a senior visiting scholar at Cambridge University, UK., and lectured and consulted at Harvard. As a professor of economics who has studied international trade for the last 40 years, what Canada is facing today with respect to renegotiating NAFTA is not surprising but certainly represents a stark contrast with the past record of the American/Canadian trade relationship.